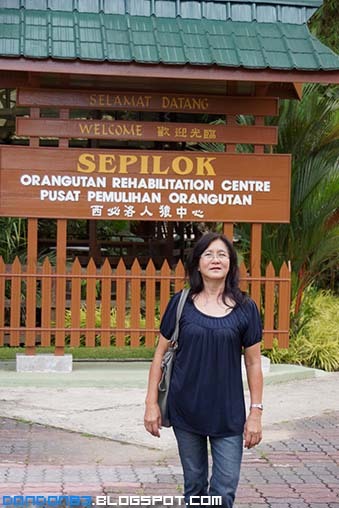 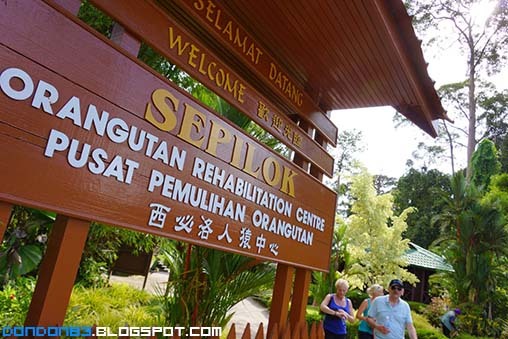 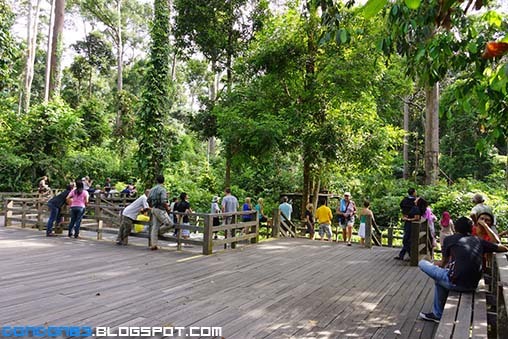 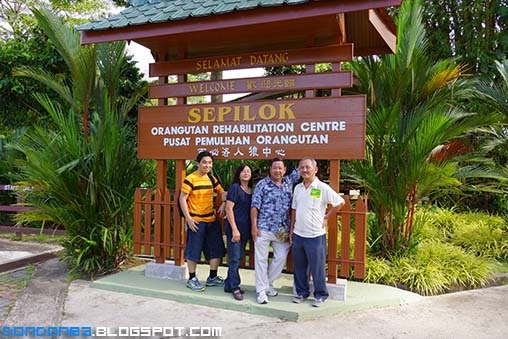 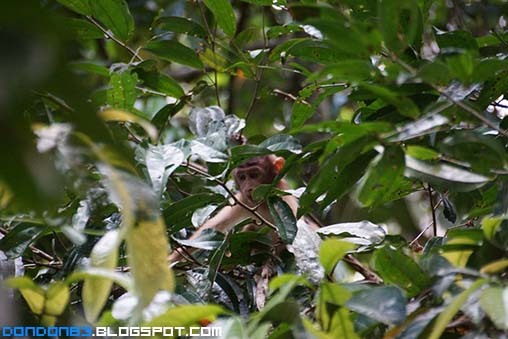 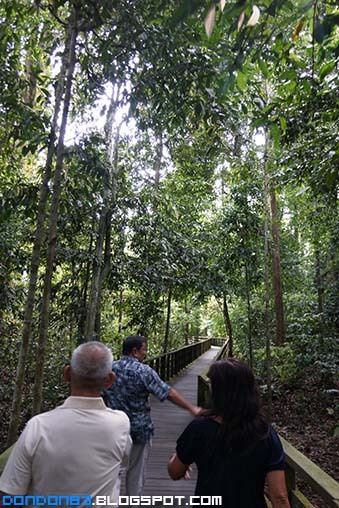 after that, we bring my uncle to Sepilok to see Orang Utan, it's consider one of the Sandakan tourist spot. 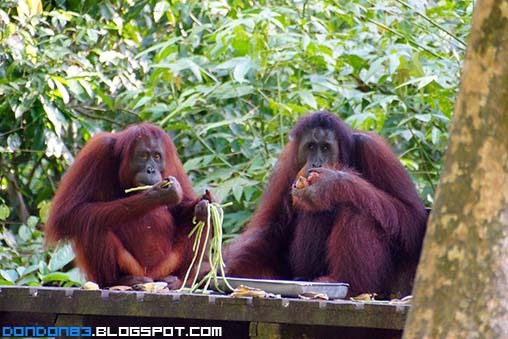 hmph.. we spotted some monkey along the way..
here we are in the watching stage. 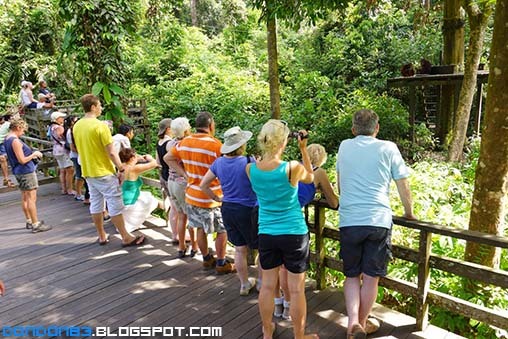 everyone is waiting for the orang utan feeding session. 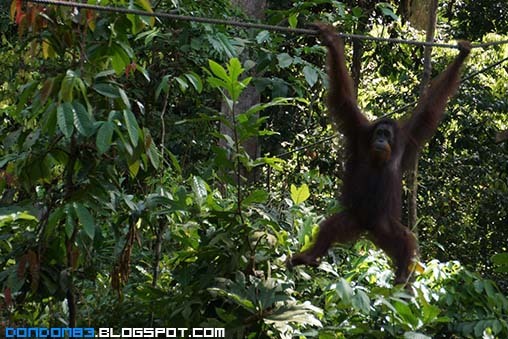 This is the Orang Utan. 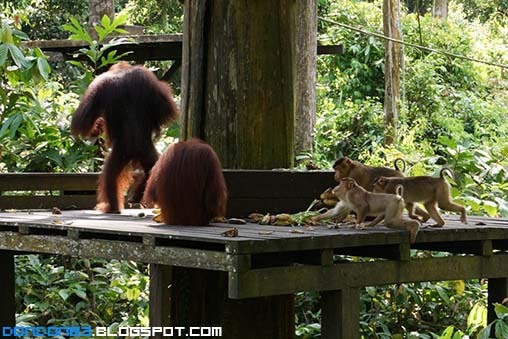 it's Feeding time.. here come all the Orang Utan. 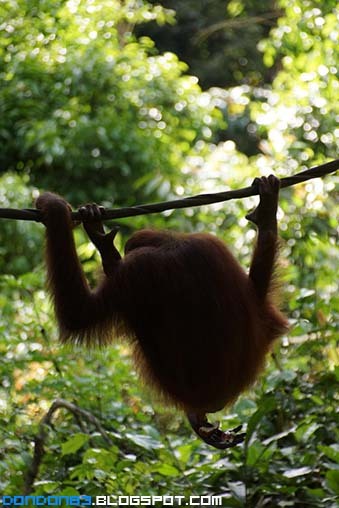 can you pose like this? 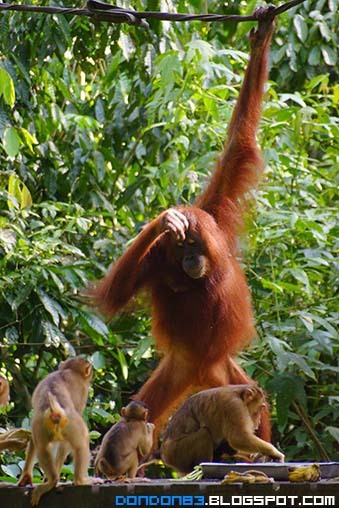 omg.. i'm late... no more banana for me? 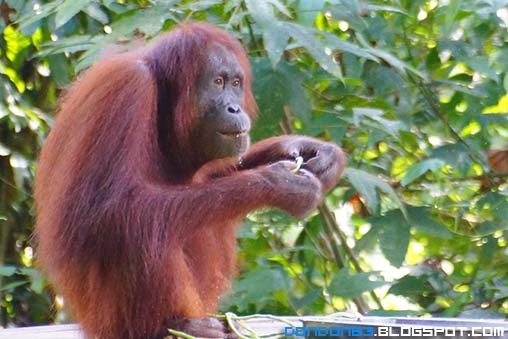 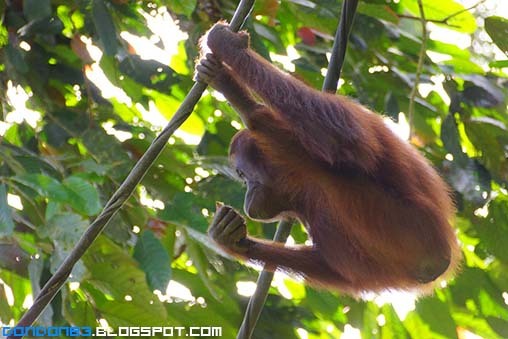 this orang utan like to enjoy his food this way.